Cocaine seizures along Colombia’s Pacific Coast have spiked so far this year, suggesting criminal groups and traffickers in the country have undertaken a significant shift that could mean trouble for the country in the future. Authorities intercepted 34 tons of cocaine between January and May this year, 65% more than was seized over the same period last year, according to Colprensa. Moreover, naval forces in the region seized 15 tons of cocaine during the first five months of this year, more than double the 6.1 they seized during the same period in 2015. Rear Admiral Pablo Guevara, the commander of Colombia’s Pacific naval forces, attributed the increased interdictions to better intelligence and technology, but he did admit that illicit activity in the area had increased, as well. “There is an increase in illicit cultivation in Putumayo and the Pacific, because aerial spraying is suspended, as is manual eradication,” Guervara said. Colombian authorities have also captured a significant number of narco submarines. According to Colprensa, the Colombian navy reported seizing five submarines, two of which were loaded with more than a ton of cocaine, and the others ready to be put into operation. According to Mexican newspaper El Universal, Colombian forces have captured seven narco subs through the end of May this year. Two of them left the southwest department of Nariño and were caught near the Galapagos Islands. The others were captured in various stages of completion in improvised shipyards. On May 20, for the first time in Colombian history, a manned submersible carrying a ton of cocaine was detected and captured near the Sanquianga national park in southwest Colombia. Authorities confirmed it was heading to Central America, a major transshipment point for Colombian cocaine. While better policing may have driven the spike in drug seizures, as Insight Crime notes, it’s likely that criminal groups have been more active in the Pacific region — and thus more exposed to police — due to the “balloon effect,” or the movement away from areas facing heavy law-enforcement activity. Chief among those criminal groups is Los Urabeños, one of Colombia’s most powerful criminal trafficking groups. In early 2015, Colombian authorities launched Operation Agememnon, which saw 1,200 troops deployed to the group’s main operations hub in north-central Colombia. 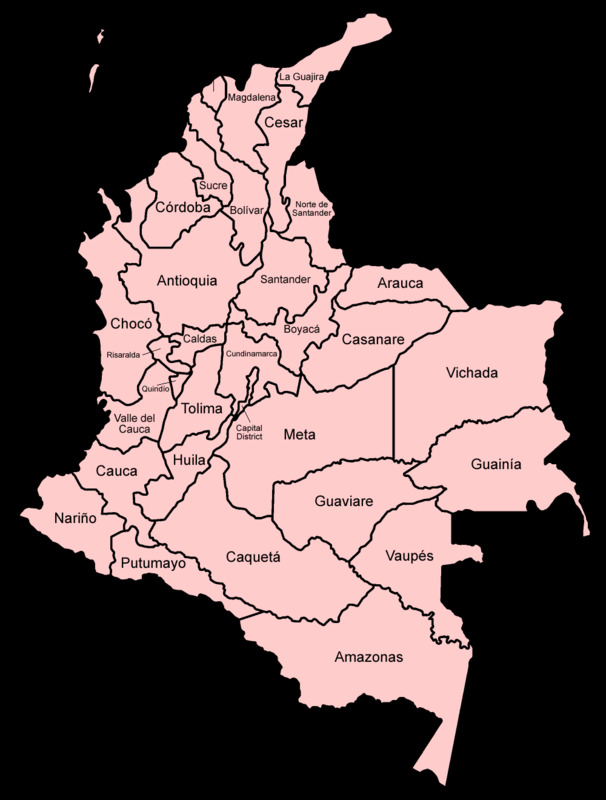 Los Urabeños have, as a result, shifted some operations to Colombia’s southwest, according to Insight Crime. This has brought them into conflict with some of Colombia’s other criminal groups, and sets the stage for more violence in the country, even if it concludes a peace deal with FARC rebels in the near future. Golbez/Wikimedia CommonsDrug-trafficking activity in Colombia seems to have shifted to the Pacific Coast region in recent months. In the central Pacific department of Chocó, Los Urabeños have reportedly clashed with both the FARC and the ELN, another Colombian rebel group that has launched violent attacks in different parts of the country. Clashes in Chocó have already led to the displacement of thousands of local residents, adding to Colombia’s extensive internal-displacement problem. In Nariño, which is both a major cultivation area and an embarkation point for drug shipments, various criminal groups have clashed with FARC rebels, who control much of the territory. While the Colombian government and FARC rebels appear to be nearing a peace deal that would take the rebel group out of the drug trade, many suspect that elements within FARC will continue cultivating and trafficking cocaine. “Right now the FARC the biggest drug-trafficking organisation in Colombia,” Mike Vigil, the former chief of international operations for the US Drug Enforcement Administration, told Business Insider earlier this year. Fragmented rebel groups vying with powerful criminal groups for control of drug cultivation and trafficking in western and southern Colombia, as well as in the country’s valuable eastern plains, makes it likely that Colombia’s longstanding violence will continue.